Amazon offers their Kindle e-readers with features and prices to suit the taste of any bookworm. We’ll help you pick the one that’s perfect for you. Should I choose the Special Offers discount? When someone says they want an e-reader, they most likely mean they want an Amazon Kindle. Knowing which Kindle to buy is the next question, and it depends on your budget and your reading preferences. With this guide and our in-depth reviews, we’ll help you find just the right Kindle for you or your lucky loved one. 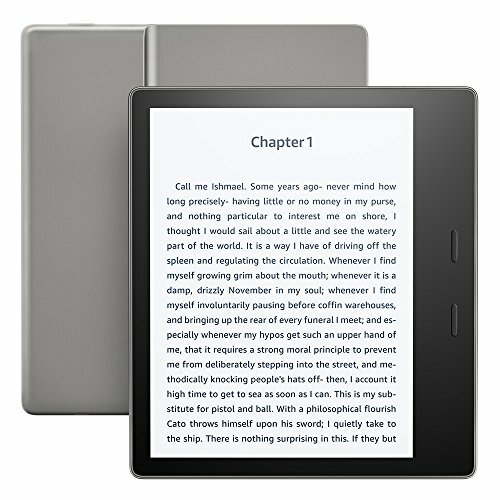 Updated 3/22/2019 with news of the All-new Kindle, the updated affordable model (starting at $89.99 on Amazon with Special Offers, or $109.99 without Special Offers). Read more about it in our All-new Kindle news story, where we also compare its specs to those of our top pick, the Kindle Paperwhite. 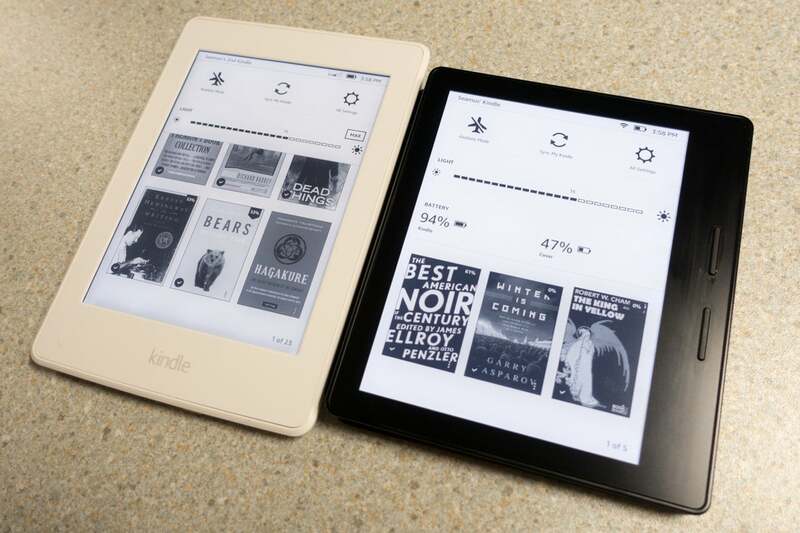 In the decade since Amazon’s E Ink slabs were first introduced to the world, the Kindles’ popularity has elevated its brand recognition to the same heights as Q-Tips and Kleenex—with good reason. Available in five models with varying feature sets, Amazon ensures there’s a Kindle to meet every bookworm’s needs and budget. While Amazon’s competitors might offer more technologically advanced or less expensive hardware, not a one of them can hold a candle to the sheer volume of books, comics, and periodicals available to download and consume on a Kindle. The Kindle Paperwhite has the same amount of storage and the same display resolution as the Kindle Oasis, but at a fraction of the cost. Purchasing one of Amazon’s less expensive Kindles could mean missing out on important features that could make the time you spend reading more pleasurable. But that doesn’t mean the most-expensive Kindle is the right choice: Don’t pay for features you won’t use. With all models, you can pay an additional $15-$20 to nix Amazon’s “special offers,” a euphemism for advertisements that appear on the Kindle’s lock screen. We show the lower special-offers-included prices in our reviews, because you need to choose the more-expensive option after you put the product in online your shopping cart. If you’ve already chosen Special Offers and now have regrets, we have you covered. You can back out of Special Offers, but it’s going to cost you. Read all about it in our guide to removing ads and Special Offers from your Kindle. To help you find the right Kindle to suit your reading needs and budget, we’ve put together this brief guide, with links to our full reviews of the hardware we recommend. If you enjoy reading by the pool, in the bathtub, or lead a lifestyle that places your expensive electronic devices in liquid peril on a regular basis, you’ll be happy to know that the best waterproof Kindle is also our pick for the best Kindle for most people: The All-new Kindle Paperwhite. With its IPX8 rating, it can survive in two meters of water for up to an hour at a time. This means it’s possible to take your All-new Kindle Paperwhite to the beach, into the bathtub, or poolside with a light heart. That said, using the device while it’s wet is less than ideal. As with the 2017 Kindle Oasis, the All-new Kindle Paperwhite’s operating system makes it possible to turn off touch input, lest its touchscreen mistake a splash of water for user input. The most luxurious Kindle is, not surprisingly, Amazon’s most-expensive Kindle, with a starting price of $270 ($250 if you can live with lockscreen ads). The 2017 version of the Kindle Oasis improves on last year’s model in some important and welcome ways: It’s larger than its predecessor: 6.3 x 5.6 x 0.13-0.33 inches, and 6.8 ounces. But it also feels sturdier, more premium. Like the earlier Oasis, the new Oasis has a 300-ppi display. Furthermore, the new Oasis is waterproof. Indeed, it’s comparable to the Waterfi-treated Kindle Paperwhite, with an IPX8 rating. Front lighting, Wi-Fi, and Bluetooth controls are easy to find. It’s also easy to customize the font type and size for an optimized reading experience. Add that the wealth of content that Amazon’s Kindle line excels at, and you’re looking at the epitome of a luxury product. 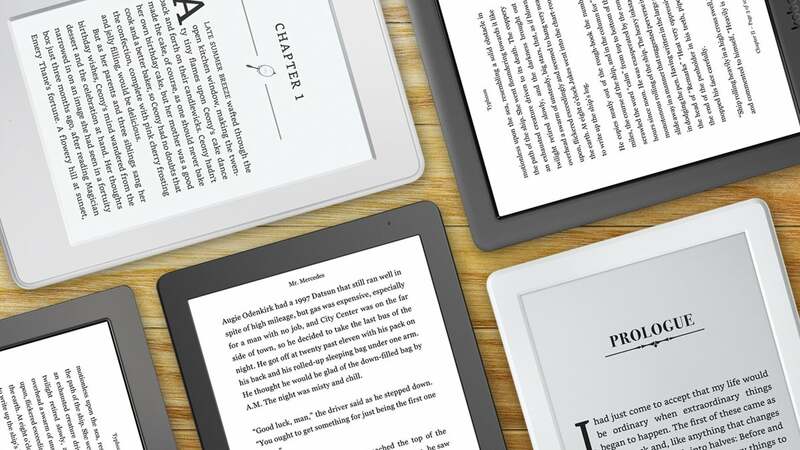 You’ll be hard pressed to find a more competent, feature-packed e-reader for the money. But we recommend paying a little extra to avoid Amazon's "with special offers" option that puts ads on the Paperwhite's lock screen.